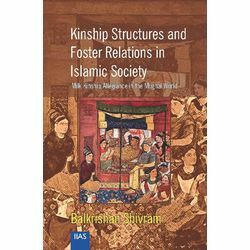 This work is a fascinating and innovative study which provides a detailed analysis of milk kinship; historically a medium for establishing complex social and political networks. Based on the use of primary source material, the study notes that Islamic tradition is unique in the attention it devotes to the creation of milk kinship through wet nursing. A child nursed by a woman becomes not only a blood relation to the nursing woman, but also a milk sibling to others who shared her breast. This relationship also prevents future marriage to a complicated array of 'relatives'. The study suggests that non-maternal nursing may have been a deliberate method to enlarge the family, make 'adoption ‘possible, and generally multiply ties of loyalty and filial duty. Furthermore, the book throws new light on Mughal state formation through the pivotal role of dynastic milk relatives. Indeed, a wet nurse's appointment was a vehicle for forging ties between her kinsfolk and the royal family. When the 'nursed child' finally assumed the throne, the kinsfolk of his nurses came to occupy important positions in the capital as well in the provinces.